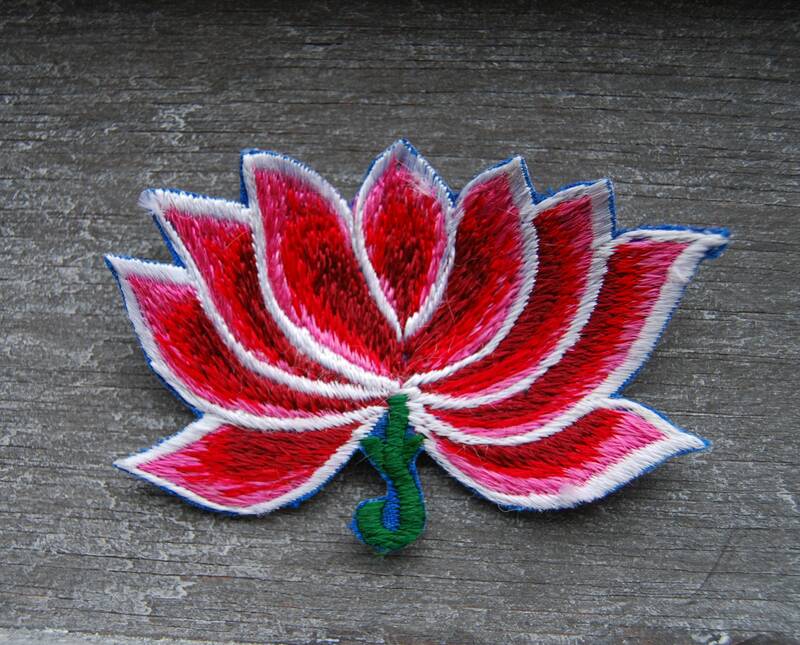 This lovely embroidered Lotus Flower can sew it to any garment. 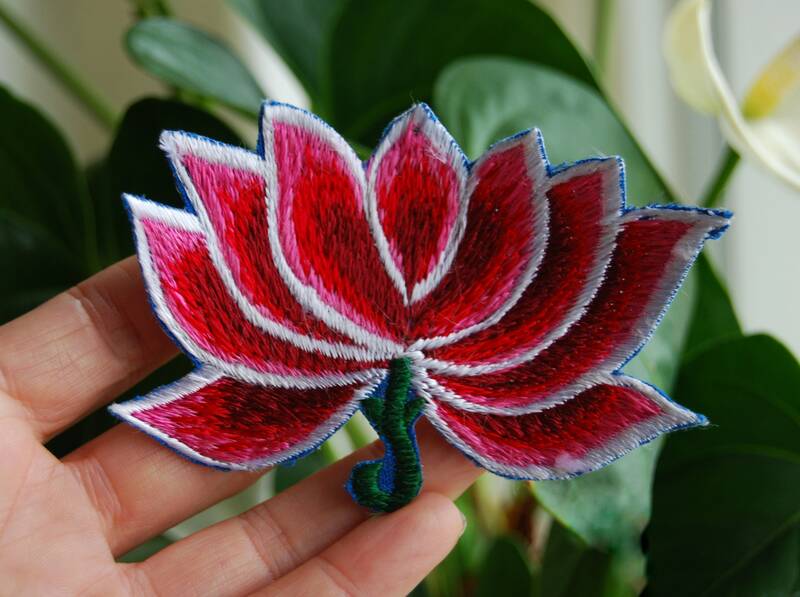 It''s perfect for jackets, vests, hats, jeans, backpacks etc. It's washable in the washing machine. 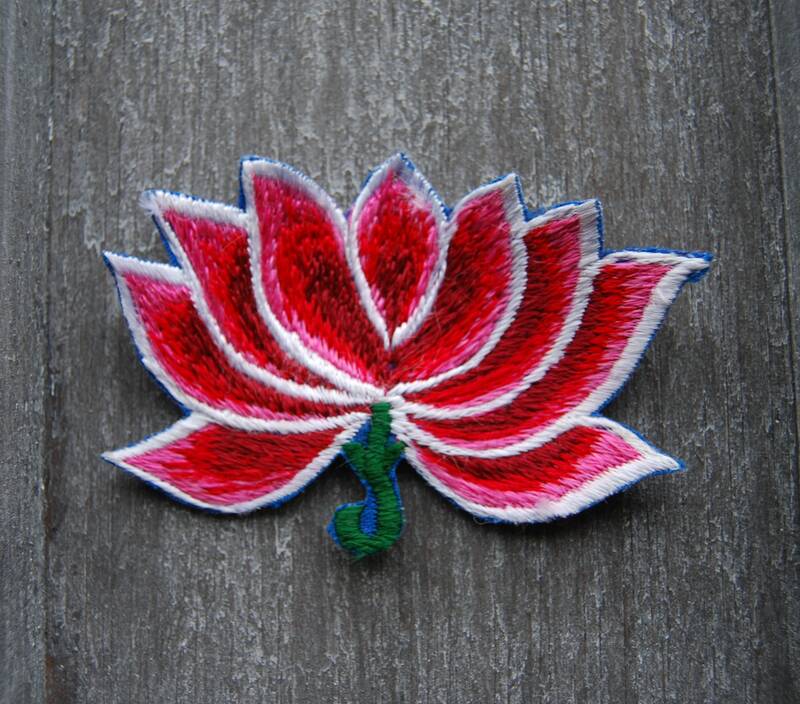 Measures 3.5" / 9 cm from left to right and 2.6" / 6.5 cm from top to bottom.